H.E. 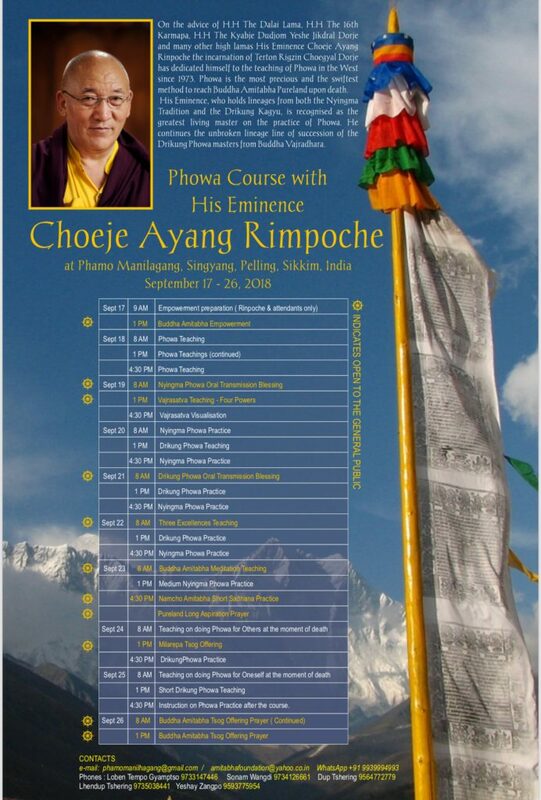 Chöje Ayang Rinpoche will give his Phowa Course in Sikkim this fall. Please see the poster for the daily schedule and contact information for additional details. Rinpoche will teach in Tibetan, with Sikkimese or Nepali translation. 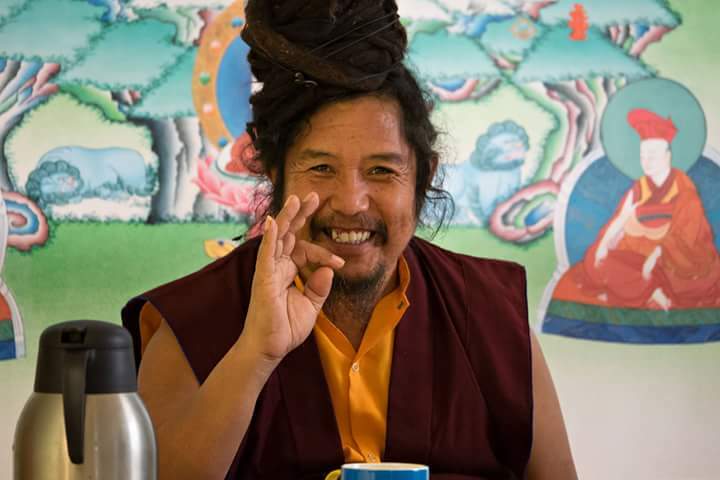 The 100 Million Mantra Amitabha Drupchen ran from March 31 to April 15 at Ayang Rinpoche’s monastery, Dechen Choekhor Ling, in Mundgod, South India. 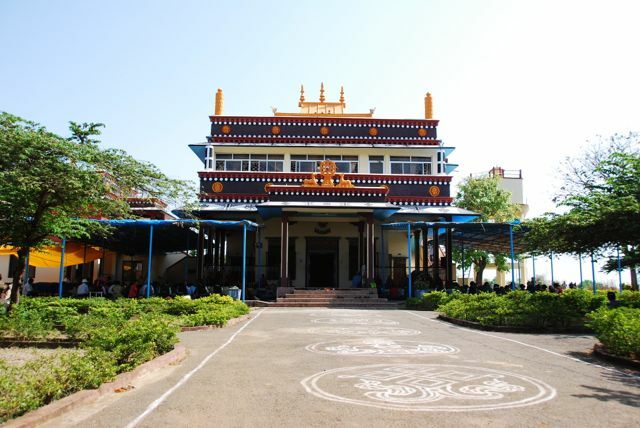 The Tibetan Settlement in Mundgod is an overnight bus ride from Rinpoche’s main monastery in Bylakuppe. Thank you to everyone who participated. The Amitabha Drupchen will last until the total count of 100 million Buddha Amitabha mantra is accumulated. 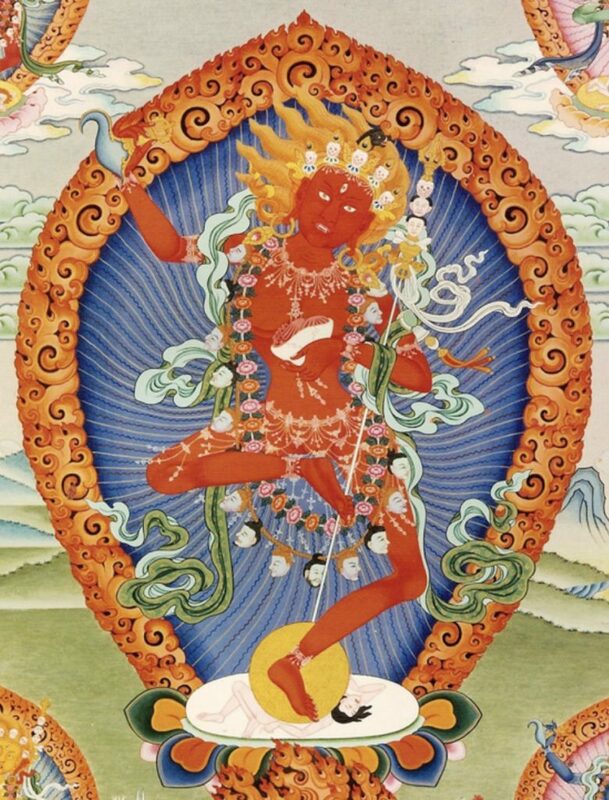 The Vajra Master for the Drupchen is Drikung Khenpo Konchog Tashi (pictured above). All the rinpoches, khenpos, monks, nuns and lay people in the settlement will be chanting Buddha Amitabha mantras to accumulate the 100 million total during the Drupchen. Ayang Rinpoche’s brother, Gen Tsewang Tharchin, will oversee the Thungdrub (accomplishment of the 100 million). Ayang Rinpoche requests that all Buddhist practitioners and others associated with the Amitabha Foundation worldwide contribute to this practice and send their recitations of the Buddha Amitabha Mantra to accumulate the 100 million total. Mantras may be accumulated and the totals sent in daily beginning April 1 for approximately 10 days. Send your mantra totals directly to drikungcharitablesociety@yahoo.com. Please do not send your mantra totals to Amitabha Foundation USA. The Buddha Amitabha mantra is OM AMI DEWA HRI. People who would like to make an offering towards meals, butter lamps, tsog, tea, tormas, offerings for monks and nuns, travel expenses or other puja-related expenses, may send in their contributions directly to the monastery’s account (see the information below). 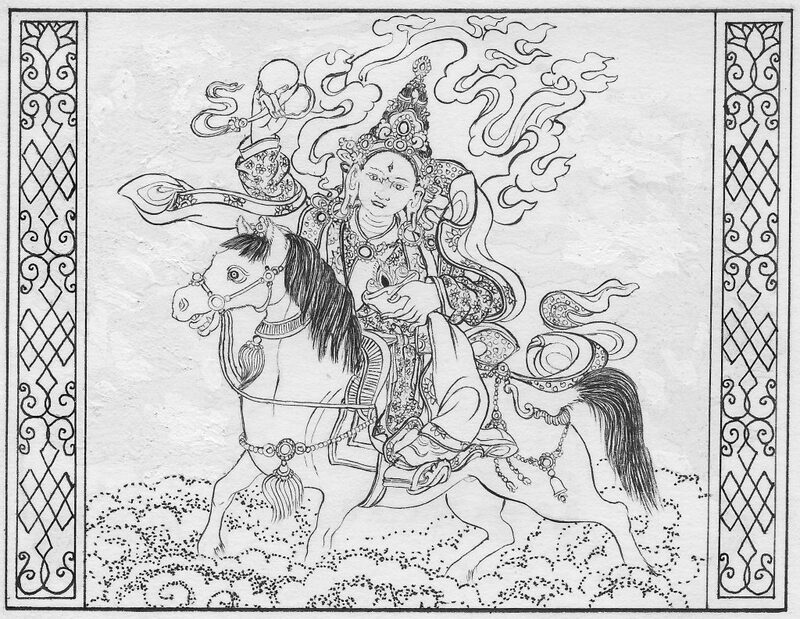 For a US-tax-deductible donation you may also send a check in USD to Amitabha Foundation USA, P.O. Box 2572, Aptos, California 95001, or use the link below. You may dedicate the merit of your offering to your loved ones.